Well friends, it's been a long time coming... seven years to be exact... from when we first launched TRDParts4U. Over that time, it has grown beyond our wildest dreams, as has our customer base whom we are privileged to call friends. 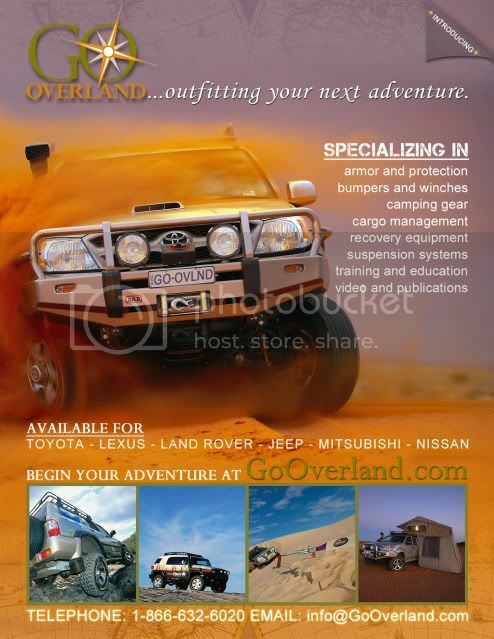 So, in order to better serve the Overlanding and Off Road community we share, we have pulled the off-road parts from TRDParts4U and are launching Go Overland!